This one’s been sitting in the “drafts” section for FAR too long, so I’m just going to dive right in. What is it we find attractive and/or intriguing about those who fight on the side of good (more or less, sometimes metaphorically speaking), but lack social graces either because they are terribly stuck up and believe their gifts give them unlimited bragging rights and the like, or they’re just somewhat socially impaired, or a mixture of both, and then end up coming off as jerks? 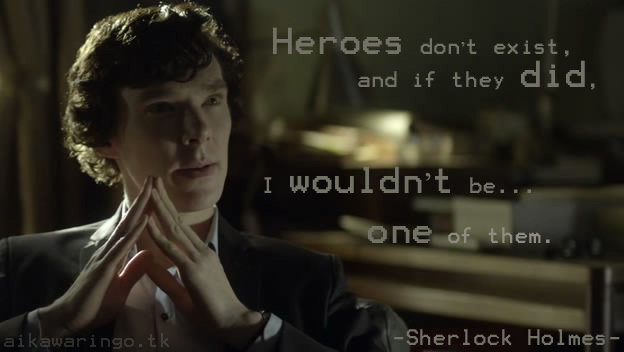 Indeed, Sherlock Holmes on BBC’s Sherlock puts it very succinctly that in the “real world” there’s no such thing as a “hero” by definition, and by that I think he means that you’d be hard-pressed to find a person in real life who would fit the description of someone selfless and brave, the pinnacle of strength and altruism. Perhaps it is because we desire the contrary, that despite their dark habits and demons, these beloved, brilliant jerks are beloved for how they use their powers of brilliance for good, as a hero would only be expected to do, and whatever they might say the fact that they choose to use their powers of brilliance for good is a sign of the humanity they try, for their own various reasons, to hide, or simply because they lack conventional social graces. We want to know in our heart of hearts that in spite of their insistence that they aren’t heroes, or that they don’t see the point in descending to the levels of “normal” human beings, they are in fact the best of all us, in spite of their imperfections–possibly because they acknowledge those imperfections, or because they soldier on faultlessly unaware of them but all the same prove to be of the most excellent among people. Detective Inspector Lestrade says something to that effect in the first episode of Season One, “A Study in Pink”. I don’t want to insultingly simplify it so much as to say that Lestrade represents the audience (you could do the same for Dr. John Watson too), but I would say that here Lestrade gives dramatic voice to what the audience might be thinking and wondering as they observe this “high functioning sociopath” commit himself to stopping serial killers and madmen, of all things. His brother Mycroft too wonders about this when he points the rather strange nature of this obvious fact in “A Scandal in Belgravia”. For all his lack of common humanity, what does come through Sherlock comes in shining illuminations of heroism, that are moving in the way they light up the otherwise dark innerworld he inhabits as a person. Indeed, when faced with his foil, Jim Moriarty, we are driven to the edge at the point of two equal yet opposite forces meeting in a cataclysmic collision. They recognize that they are kindred spirits, but in the face of such darkness, Sherlock faces lines that unprincipled and insane Moriarty will dance across happily, but which Sherlock himself stands before resolutely unwilling to cross for that shred of light that he possesses, and Moriarty does not. However, he also recognizes that while he remains firmly on that side of those lines, he is not by any means unfascinated by the possibilities opened up the dark side, like when he considers the idea of slowly poisoning two children by forcing them to eat chocolates out of mercury-laced wrappers as “neat”. He would never do something like that himself, but that doesn’t stop him from appreciating the mark of genius in it. As I said, “kindred spirits”. 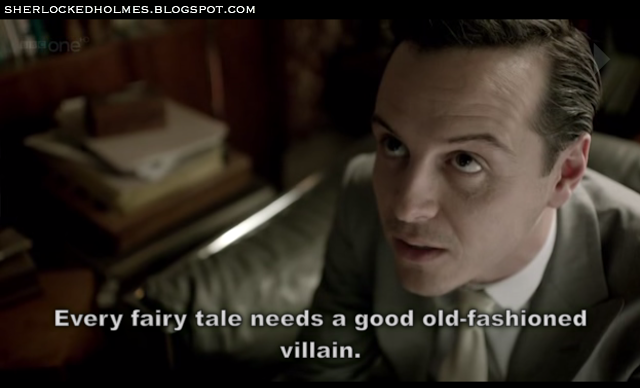 He even proves that he is no ordinary person, as Moriarty fears he might turn out to be after all–boringly ordinary. No, he’s beyond ordinary, “prepared to do what ordinary people won’t do”. But whereas Moriarty is prepared to kill himself to ensure the success of an evil scheme (I won’t spoil anything for those who haven’t seen the end of Season 3), Sherlock (without giving too much away for those of you who haven’t seen the last episode of Season 2) is prepared to kill himself to save the lives Moriarty threatens–John, Mrs. Hudson, and Lestrade, who for all of Sherlock’s denial, are, somehow, in some twisted and wonderfully strange way, his friends, for all intents and purposes. 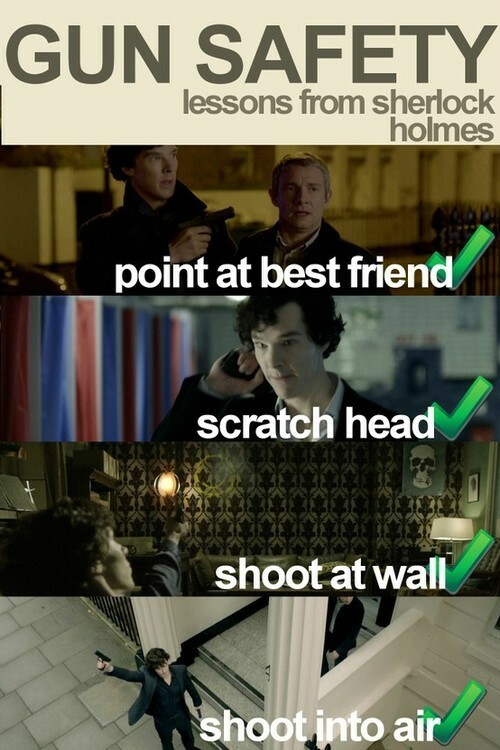 John Watson most certainly. 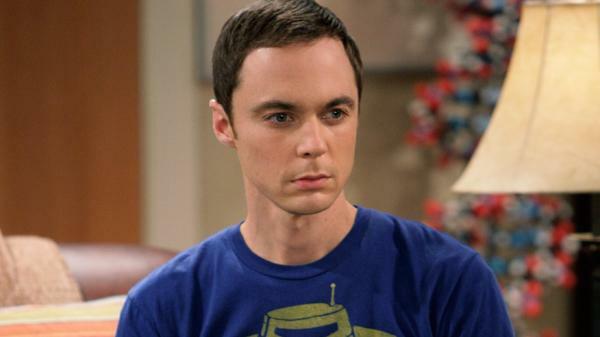 Now take someone equally (if not, in his opinion, more so) brilliant like Sheldon Cooper, and certainly no less lacking in certain social components in his brain function that the rest of take for granted. 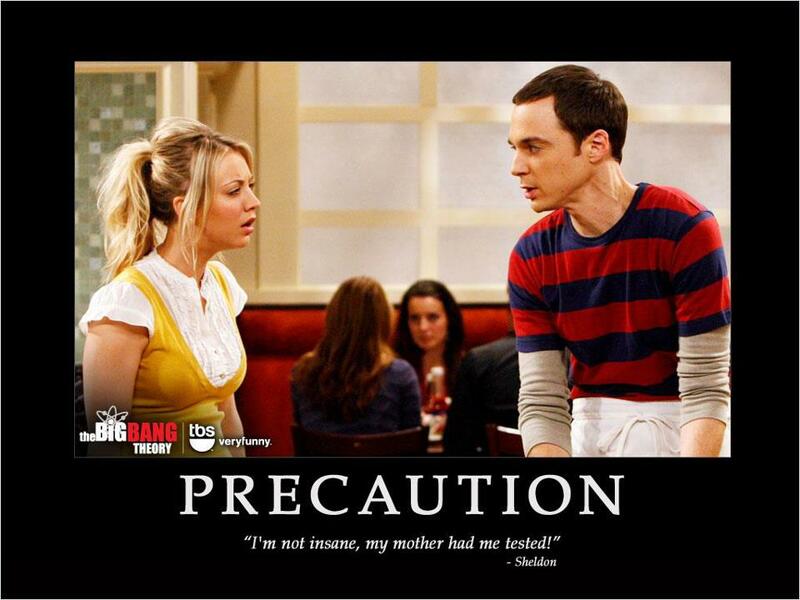 Actually, I’d say Sheldon takes them so much for granted that he practically dismisses them. 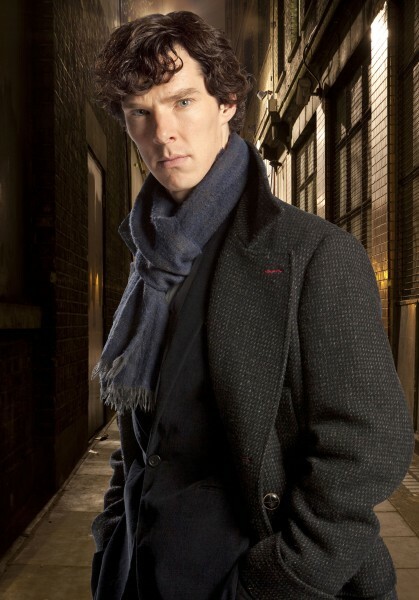 But just as it’s been theorized that Sherlock Holmes–in both the classic and original Sir Arthur Conan Doyle canon and the updated-from-the-canon version, and a few other versions there besides–might have some sort of form of Asperger’s Syndrome, Sheldon Cooper probably lacks something that makes him, for the most part, socially inept. Indeed he comes off as extremely arrogant, but at times he seems to be unaware that he’s acting that way, or if he does, that he’s ignorant of how it tends to insult the people around him. Other times though it can’t possibly be excused that he’s got some social blind spots, when he, like Sherlock, seems to relish in his own cleverness, gets high on the fact that he is a genius (since he certainly doesn’t get high on anything else, lol). Beyond his pride in his own genius (which as far as we can tell isn’t an exaggeration, evidenced by his anecdotes about being in college at the age of ten and the like), he also seems to take pride in the fact that he prefers and remains above baser human impulses of emotion, like romantic relationships and the like. The fact that he has friends in Leonard, Raj, and Howard is purely circumstantial and not relationships he actively sought out to really satisfy any emotional need. Which would explain his admiration of a science fiction character like Spock: though he is indeed half-human, his being half-Vulcan keeps him logical and thusly a cut above the rest of the crew of the U.S.S. Enterprise. But for all of that, he does use his genius for the good of mankind in unraveling the mysteries of the universe in his studies in theoretical physics. There are worse things people with his level of brain function could do, and he chooses to devote himself to a noble vocation as that of particle physics. On the one hand he’s no great shakes at comforting people or dealing with anything to do with the exchange of emotions (or small talk) but in one episode when his and Leonard’s neighbor Penny was hard-pressed for cash, he gave her some without hesitation. It was more of a logical decision than anything else, but still, it was a nice thing to do. And there are other jerks we love, strangely enough both doctors: Dr. House from House, and Dr. Cox from Scrubs. 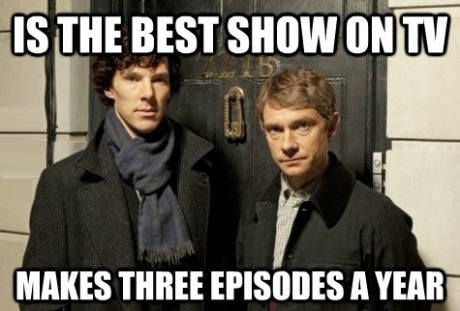 Actually, they’re far more on the jerk side of the spectrum even than Sherlock and Sheldon, but they still exhibit a range of habits and emotions that affirm they’re humanity. And in the end, I think that’s what we all find most satisfying, that with a little wheedling we can coax human feeling out of someone who denies or acts like the opposite of what is conventionally a good person, because in truth they “unconventionally human”, which proves to be an interesting quirk to explore. The same goes for the extreme of the extremes in this vein, the “anti-hero”, who is often a character that is totally despicable save for one trait that is their saving grace, the one trait that tips the scales and has us root for them rather than the outright villain–the lesser of two evils, as it were, much like in the case of Will and the Tooth Fairy from the film Manhunter (though I did prefer it’s remake, Red Dragon, but in that case Will wasn’t painted so much as an anti-hero as his character was in the original–either way, we all know Hannibal Lector was the real jerk in both cases, lol). As a side note though, it’s why I personally love shows like BBC’s Sherlock and The Big Bang Theory, as well as Scrubs, and why I love so many anime shows as well–the Japanese seem to have a thing for the “rough-edged, chain-smoking” type of hero. 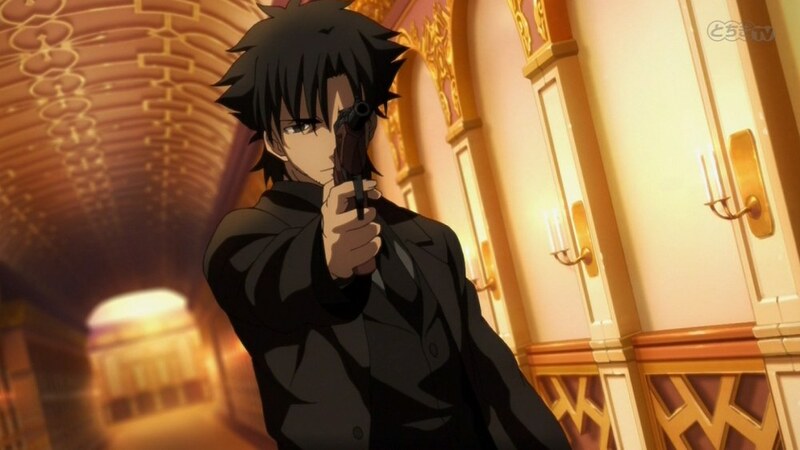 Ones who, quite frankly, are drawn as attractively carrying a gun as attractive men in real life carry guns. Oh, and the moral interplays that ensue as well. Heh, heh. 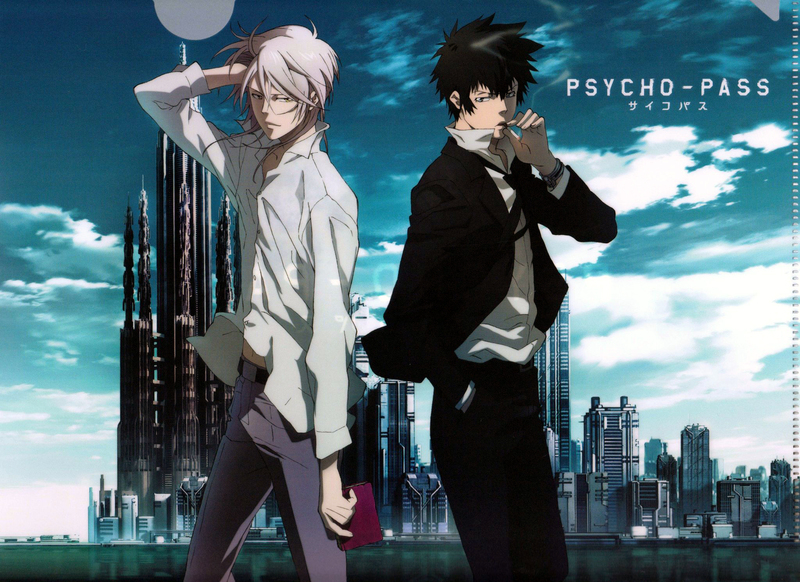 Ah, now if you’ll excuse me, I think I’m going to go rewatch episodes of Psycho-Pass and Fate/Zero.